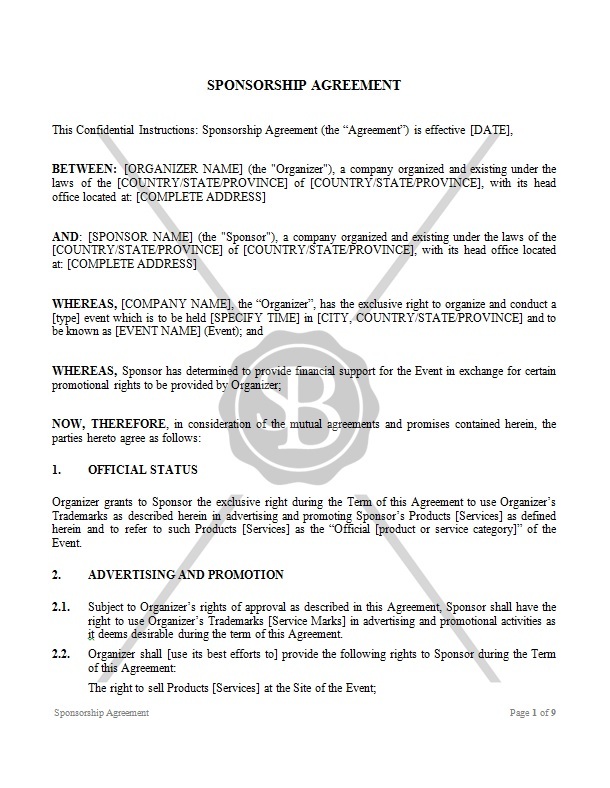 This Agreement is made between the Organizer and the Sponsor. This is used when an organizer seeks a sponsor to financially support an event. The Sponsor agrees to provide financial support for the certain event in exchange for promotional rights.